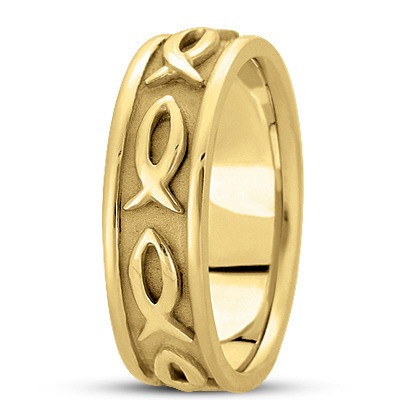 This yellow gold men's Pisces wedding ring with a high polish is also available in other sizes, colors, metals and polishes. The price listed is for a ring sized 10 and 7MM wide, other sizes are also available. Please note that price is subject to change.